My blogging friend Cyndee from Rude Mom recently got her 10,000th fan on Facebook. She's so excited and appreciative, she's throwing a giveaway! 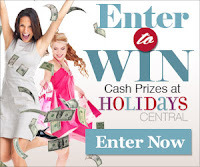 Enter for a chance to win $100 Paypal Cash below! Then leave a comment letting me know you've entered. Thanks! Coupon Crazy Sisters, Beauty Brite, Simply Southern Couponers, and Stay a Stay at Home Mom. Please take the time to visit them all. 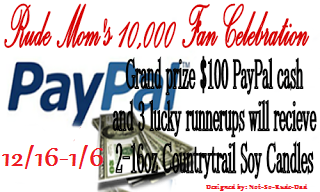 Rude Mom is so ecstatic about hitting 10,000 fans on Facebook and she is having a HUGE giveaway to show her fans how much she appreciates them all!! There will be 4 winners!! The giveaway will run from December 16th at 12:01am to January 6th at 11:59pm. Grand Prize Prize Open Worldwide and Second Place Prizes Open to U.S. Residents Only, ages 18+. To enter please use the Rafflecopter form below and make sure to read Rafflecopter rules. 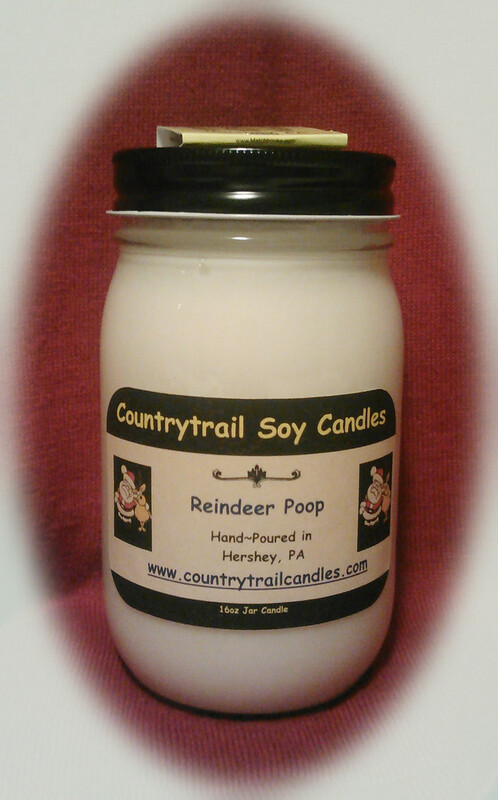 Disclosure: Rude Mom and Countrytrail Soy Candles will be responsible for prize shipment. Frugal Follies is not liable for shipment. Beach Bum - we live in WA state & it is non stop rain. Need a break from it & the smell of something tropical can take me away for a while! Enchanted Nights sounds like a winner. I would like to try the vanilla scented candle. Thanks for the giveaway!! I'd like to try the Cinnamon Buns. I want to try the blueberry muffin - thanks! I'd love to try the Country Campfire candle! 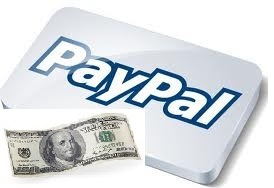 I love paypal and believe it to be the safest payment site on the net. apples n peaches sounds wonderful! I liked the Honey Drop!! So perfect for holidays. Top Mommy Blog Vote and Follow Rude Mom are not working in the rafflecopter... I completed the tasks from the Rude Mom Blog links on her website. I would like to try the Apples-N-Peaches one. I couldn't vote for rude mom on top mommy blogs, the link is invalid. I would love to try Sleigh Ride. Just winning would be exciting. Apple pie and cinnamon smells nice. I would love to try Grandma's Cookies/Mrs Claus's Crib! Love Shack is a close second though. Oh, I think I'd like to try this one: Grandma's Cookies / Mrs Claus's Crib TM. Apples-n-Peaches! I love the idea of that smell! I'd love to try Smodor Eliminator. Based on the review, It sounds like a good one to get rid of occasional smoke and odors. Cinnamon Buns,would love to try!! Patchouli yes yes yes I DO love it, have not smelled since back in the day. I WANT this. I'd love to try Pumpkin Pie. Can't resist the Reindeer Poop! this would be awesome for xmas!!! I would like to try the Rosemary scented candle. Which candle scent do you want to try? The Smodor Eliminator™ would be useful in my apartment. I Love Vanilla so I would like to Try the Vanilla Candle. I Love Vanilla. So I would like to try the Vanilla candle. I would be glad to have any scent. Beach Bum, I'll pretend to be at the beach! I think the Sleigh Ride sounds great! I would like to try Hazelnut coffee. I would like to try the Basil, Sage & Mint candle. I'd like to try the enchanted nights scent. Thanks for the chance. Hazelnut Coffee. Hmmm Nutella scent! Would love to try Mango Madness and Apples-N-Peaches! I'd like to try Life's a Beach. I would like to try the Hot Chocolate. I would like to try the "Holiday Spirit", I love anything that smells like Christmas. I would like to try the Sleigh Ride! I love all the smells in it! I would like to try the Basil, Sage, and Mint scented candle. Vanilla, I love the smell of vanilla. I want to try Pumpkin Pie!! A better question is which one WOULDN'T I try? They all sound scrumptious but I'd first try patchouli, love woodsy type fragrances especially.